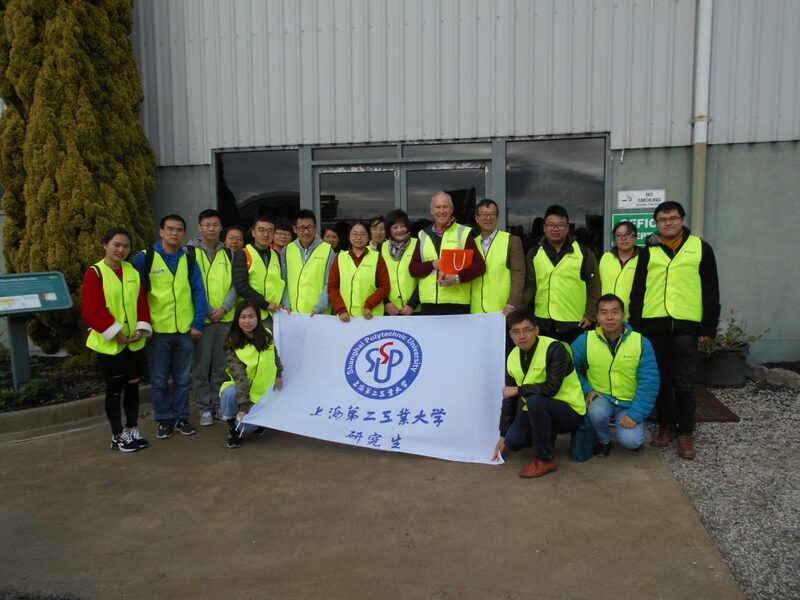 During July 2017, GT Recycling played host to 16 students and lecturers from Chinas Shanghai Polytechnic University at its Geelong recycling facility. The Students and lecturers have been visiting Geelong as part an reciprocal association with Deakin University. The visitors were given an overview of the many issues involved with recycling plastic waste in Australia by Doug McLean and undertook a plant tour as part of their fact finding mission. Areas of interest for the group included technology, environmental issues and OH&S compliance. Doug McLean with the visiting group from China, together with Deakin University Prof. Lingxue Kong (4th from left, back row).